Personagem - Leader. Pontos: 13/16. Vida: 11. 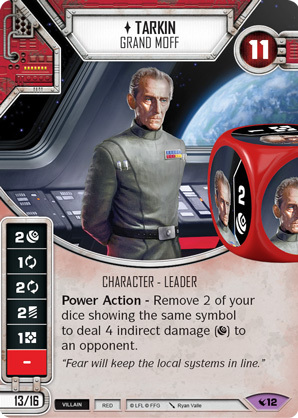 Power Action - Remove 2 of your dice showing the same symbol to deal 4 indirect damage () to an opponent.